I don't know how it is for you, but for me deciding what to cook for dinner every day is much harder than cooking the meal itself and that's why one of my new year's resolutions was to plan meals and I'm excited to say that I have started it and so far I'm loving it. I wrote a menu for a whole month, except for the weekends, because I take the weekends off of cooking most of the time. It's my "free" time. 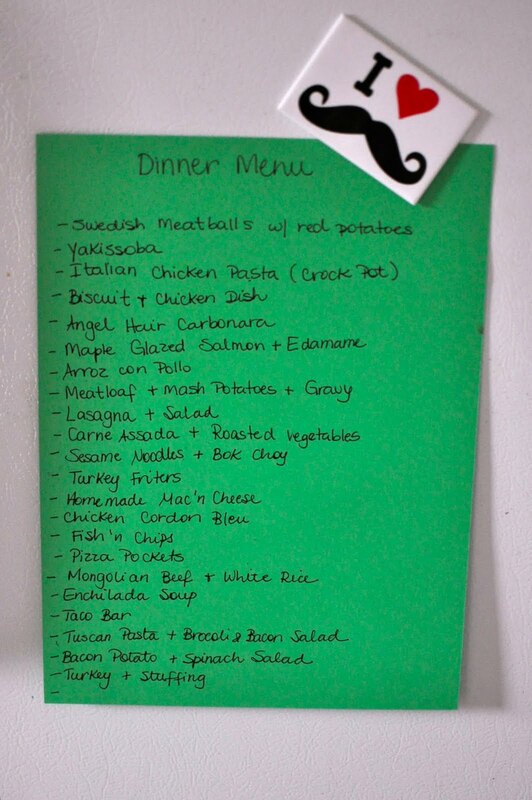 I like the menu not only because I don't have to think of what I am going to cook, but because I can buy groceries ahead and not have to go to the store so often, which saves us money (I go to the store for one thing and end up leaving with a cart full) and also when I plan ahead I make healthier choices. 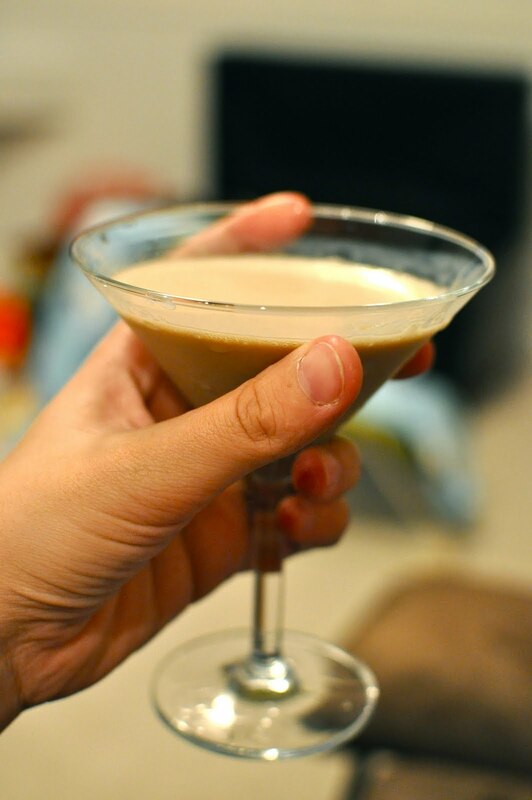 Now forget about the healthy part and let me tell you about this chocolate martini I had to have. My friend Carolyn had added this martini to her Pinterest and when I saw it I knew I HAD to try it. It has been over 3 years since I had any alcoholic beverage to drink and that's because I became a boring person since I gave birth (LOL). Anyhow, I asked my husband to get all the ingredients and he was happy to make me a martini on New Years Eve, so here is a toast to 2012! I have the same problem as you with meal planning, it does stress you out and a lot of the times you go for the non healthy meals because its easy and you dont have to plan anything. I used to make a google calendar with all meals for the month but that got hard and quit making it :( i like what you did and i think i'll make one this week, thanks! !